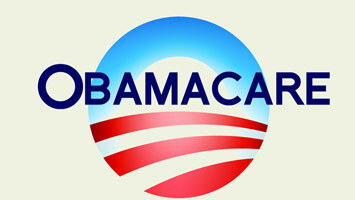 Obamacare, what does it mean for your business? An important piece of the Affordable Care Act, or Obamacare as many of you might know, went live today, with Open Enrollment in Health Insurance Marketplace. For more information and options on obtaining coverage starting January 1st, 2014, you can visit www.healthcare.gov . Individuals without health insurance by March 31, 2014 will face a tax penalty. Effective January 1st 2014, businesses with 50 or less Full Time Employees (FTE) Can use SHOP Marketplace to offer coverage for their employees, non- profit organizations included. As an employer, what are your rights? Insurance policies cannot turn you down because of employees health status or their dependents. This applies to pre-existing conditions as well. Insurance policies cannot increment your rates of premium for women or increase group’s premium for employees with high medical costs. Grandfathered plans are exempt. These refer to insurance policies bought on or before March 23,2010. Please note that if you have fewer than 25 employees in your business (FTE) making an average of $50,000 a year or less, you may qualify for a small business healthcare tax credit. The tax credit can be worth up to 50% of your contribution toward employer premium costs. What happens if I am an employer with more than 50 employees? What if I am self- employed? If you currently have no employees, then you are considered self- employed and can set coverage through marketplace. Please note this information was taken from Health Insurance Marketplace the official website. Please visit this website as reference for further inquiries.